The esoteric meaning of the six is ​​that it was considered a “number of Creation” (“God in six days created the world”), the symbol of the divine cosmic equilibrium and symmetry of opposites expresses the unity of polarities, the choice of divergent paths. In his divine aspect six stands as a symbol of the law of analogies, expressed in geometric terms: “Down like the top, and the upper like the lower.” Mobius points to far-reaching consequences that arise in the application of this principle: “By organizing our body we can tell about the organization of the solar system, according to Turner theosophical – Turner on parts of the body, etc.” In the six aspects of the natural environment represents, in which evolutionary and involutionary flow of energy or connected or disconnected. These streams are and the dilution («Solve»), and thickening («Coagulo») material in nature. In the aspect of human nature Six symbolizes the principle of free will, spiritual harmony and recognition of good and evil. Six is ​​a graphical representation of a six-pointed star – a hexagram, also known as the Star of David, Solomon’s seal, the symbol of the Androgyne, the sign of Vishnu. It consists of two interpenetrating and mirror each other triangles. In the East, six usually as a universal symbol of space, “Space Cross Buddhi” accommodates four quarters and two lateral branches – plus Zenit (top) and nadir (downward). Number 6 also serves as an illustration of the law of analogy, the formula of which is the famous thesis of Hermes Trismegistus: “As above, so below.” It is a vivid reflection of the principle of similarity lower higher and vice versa. Embedded into each other two triangles symbolize the principle of cosmic unity. It is for this reason that the number 6 Pythagoras connected with the planet Venus. Ragon wrote on this subject: “The combination of the two sexes and the division of matter in the trinity of development required to generative power, this fertile properties, and the desire for reproduction, innate in all bodies. 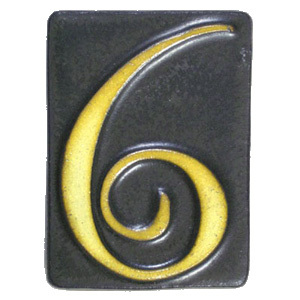 “Sixth is an expression of the will of the sound, making it understandable, as the Word, at the same time it has its origin in two fiery center … In this sixth as are sacred names, the divine forces acting unity, they are simultaneously in two fire centers. It is particularly miraculous Tetragrammaton – the center of world acts of God, which operate in both the focus and the wicked spirits that abuse, distorting them in the Center of the Natural Fire. This name combines the foundation of all the Kabbalah and the entire Magic. Sixth form or quality of natural science or Desire is the word – the divine language, sound or voice Forces, from which proceeds the Holy Spirit, in the midst of power.